Dr. Samir Sinha is a passionate and respected advocate for the needs of older adults. Dr. Sinha currently serves as the Director of Geriatrics at Sinai Health System and the University Health Network in Toronto and holds the Peter and Shelagh Godsoe Chair in Geriatrics at Mount Sinai Hospital. In 2012 he was appointed by the Government of Ontario to serve as the expert lead of Ontario’s Seniors Strategy. He is also an Associate Professor in the Departments of Medicine, Family and Community Medicine, and the Institute of Health Policy, Management and Evaluation at the University of Toronto and an Assistant Professor of Medicine at the Johns Hopkins University School of Medicine. A Rhodes Scholar, after completing his undergraduate medical studies at the University of Western Ontario, he obtained a Masters in Medical History and a Doctorate in Sociology at the University of Oxford’s Institute of Ageing. 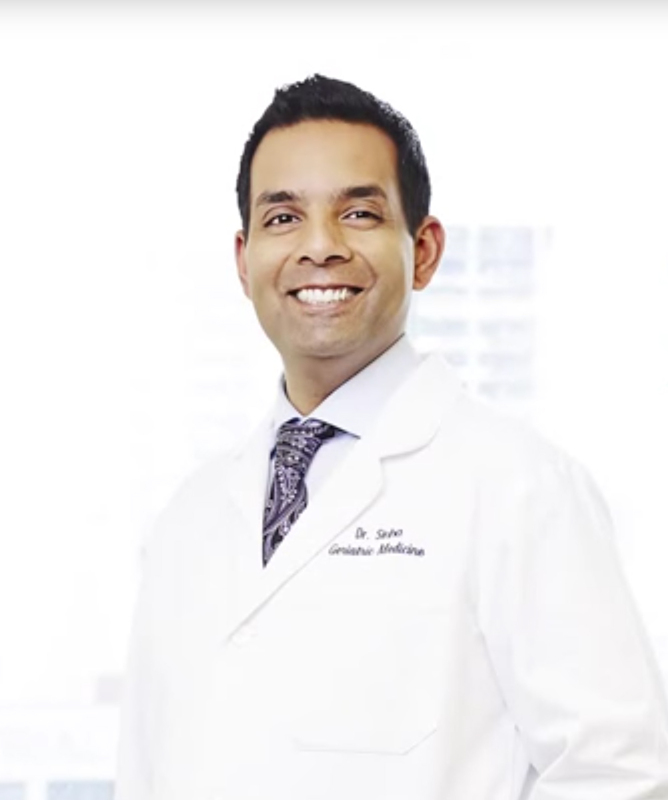 After returning to pursue postgraduate training in Internal Medicine at the University of Toronto, Dr. Sinha went to the United States where he served as the inaugural Erickson/Reynolds Fellow in Clinical Geriatrics, Education and Leadership at the Johns Hopkins University School of Medicine. Dr. Sinha’s breadth of international training and expertise in health policy and the delivery of services related to the care of the elderly have made him a highly regarded expert in the care of older adults. He has consulted and advised hospitals and health authorities in Britain, Canada, Iceland, Singapore the United States and China on the implementation and administration of unique, integrated and innovative models of geriatric care that reduce disease burden, improve access and capacity and ultimately promote health.